MH CELEB BDAY: WANDE COAL! 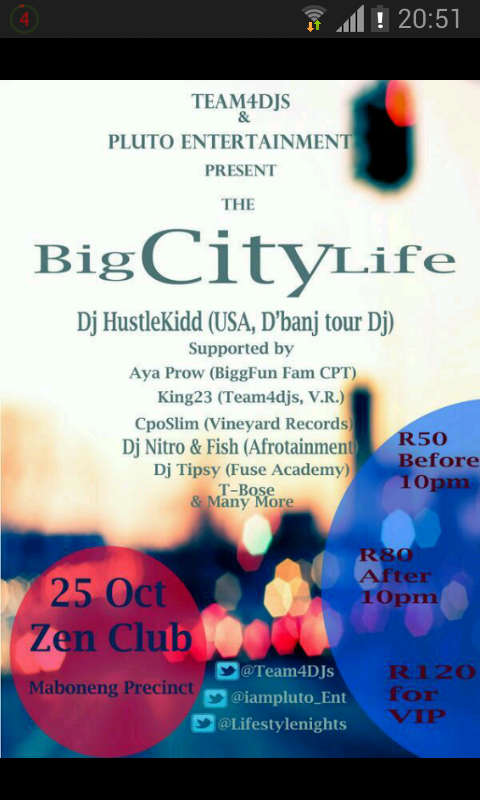 Team4Djs & Pluto Entertainment present: “Big City Life Event”. Supported by: Aya Prow (BiggFun Fam CPT), King23 (Team4Djs V.R), CpoSlime (Vyneyard Records), Dj Nitro & Fish (Afrotainment), Dj Tipsy (Fuse Academy), T-Bose and many more.